There are children around us who are chronically hungry and we can do something about it for a few of them. I am participating in a fundraiser for the San Diego Food Bank’s Food 4 Kids Packpack Program. (wow – that’s quite a title). The program was launched in 2007 to provide food to get chronically hungry elementary school students through the weekend. Every Friday, participating children receive a backpack with child friendly items such as peanut butter, pop-top canned goods, cereal, juice boxes, fruit cups, raisins, pudding cups, granola bars, shelf-stable milk and macaroni and cheese tucked inside. There are lots of ways to participate. Learn more about the program here. Make a donation here. Everyone who donates will be entered in to a drawing for prizes being donated by San Diego food bloggers. 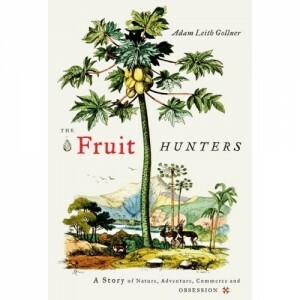 I will be donating a copy of the book The Fruit Hunters: A Story of Nature, Adventure, Commerce, and Obsession by Adam Leith Gollner. Additionally, if you are in San Diego, you can attend the Little Italy Mercato on December 12 to donate food and/or backpacks. Thanks Becky – you rock! And that sounds like a really cool book. When you get ahold of some of those ice cream beans, let me know would you? I am dying to try them.